The No. 1 (maybe?) Kansas Jayhawks (1-0) open up play at Allen Fieldhouse on Monday evening when they host Vermont (1-0) in a NIT Preseason Tip-Off game. 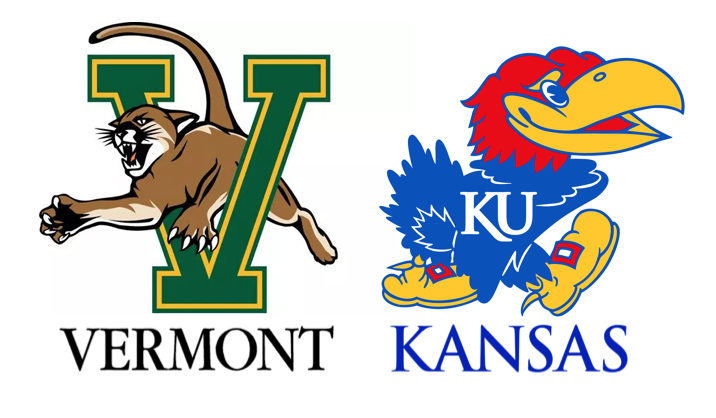 Kansas has only met Vermont just once before, which was back in 2004 when it defeated the Catamounts, 68-61. Kansas is 17-3 in the NIT and last participated in the event in 2002-03, where the it finished fourth. Prior to this year, KU has played in five NITs: 1985-96, 1989-90, 1993-94, 1997-98 and 2002-03. 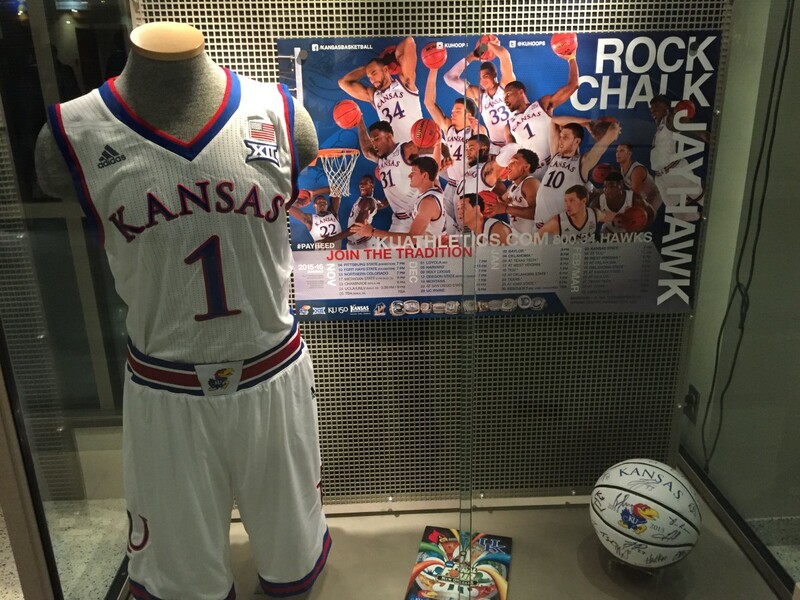 KU has won three NIT titles in 1989, 1993 and 1997. KU has won a mind-boggling 45-consecutive regular-season home openers in Allen Fieldhouse, a streak which started in the 1973-74 season. Kansas is looking to go 2-0 for the second-straight season and ninth time in Bill Self’s 16 seasons at KU. Entering Monday’s contest, KU has sold out of 275-straight games in Allen Fieldhouse, a streak that started the second game of the 2001-02 season. On paper, Vermont is the second-worst team Kansas will play this season. As Jesse Newell of the KC Star pointed out, the Catamounts are ranked 128 in KenPom. Of all the teams on KU’s schedule this year, only South Dakota is ranked lower. That being said, Vermont was still picked to win the America East conference and were an NCAA tournament team just two years ago. They return one of the best players in the America East in forward Anthony Lamb, who went for 19 points and 14 rebounds in the season opening win over Boston University. The Catamounts also boast two capable guards in Stef Smith and Ernie Duncan. Despite being an undersized forward, Lamb was third on the team in rebounding a year ago. He also was second in scoring at 14.3 PPG. This season he was a Preseason All-America East selection and looks to lead the Catamounts. Don’t look to see Lamb lighting the Jayhawks up from behind the arc. He shot just 31% from three last year on just 44 attempts. Almost half of his shot attempts came at the rim last season. That may be a little more difficult against KU’s big front line of Udoka Azubuike, David McCormack and Dedric Lawson. Smith only averaged a little over 11 MPG last season and only 3.9 PPG. If one game is any indicator, he figures to be a bigger factor this season. In game one he played 33 minutes and poured in a game-high 22 points. Duncan, a fifth year senior, dished out a team-high five assists and poured in 18 points in the opening win at Boston University. He will let it fly from behind the arc. He’s attempted over 165 threes in each of the last three seasons and chucked up 11 in the season opener, connecting on four of them. Kansas hasn’t lost a home opener since 1973. I don’t see that changing, especially to a team like Vermont. KU’s size will be too much. The Catamounts have only one player over 6’9″, and he didn’t register a minute in Vermont’s first game. I see another huge game for Azubuike and Dedric Lawson. I’m also interested to see if Quentin Grimes can continue his hot shooting. The freshman knocked down six threes in KU’s victory over Michigan State last Tuesday. Give me the Jayhawks in a rout. My name is Bobby Norell. I'm from a small town in northern Indiana. I recently graduated from Indiana University with a degree in Sport Communication. Even though my diploma says I'm a Hoosier, my love for the Jayhawks has never wavered. They'll always come No.1.